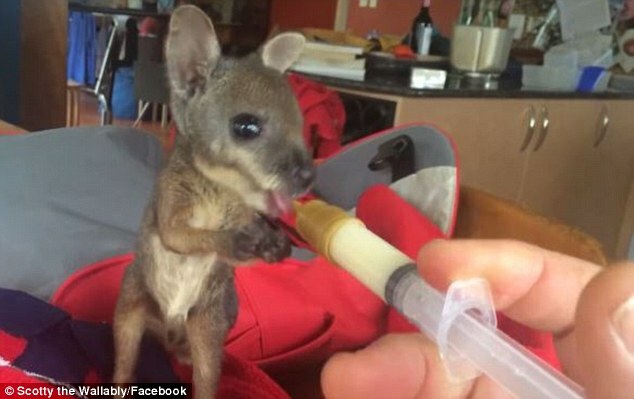 Heartwarming footage of an orphaned wallaby clasping a syringe and tucking into his lunch from a makeshift teat has been uploaded to Facebook. 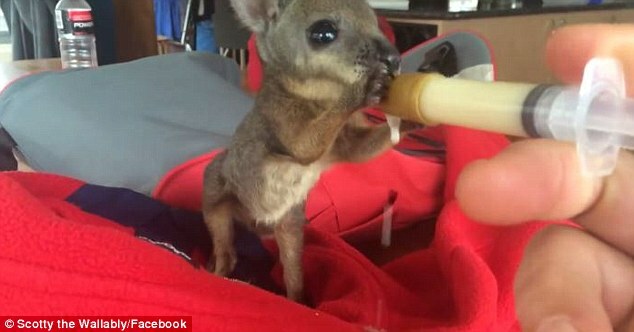 The video shows the little joey, named Scotty, being fed formula mix from a syringe-turned-bottle by a handler from Exceptional Kangaroo Island, a tour operator based just off the coast of South Australia. 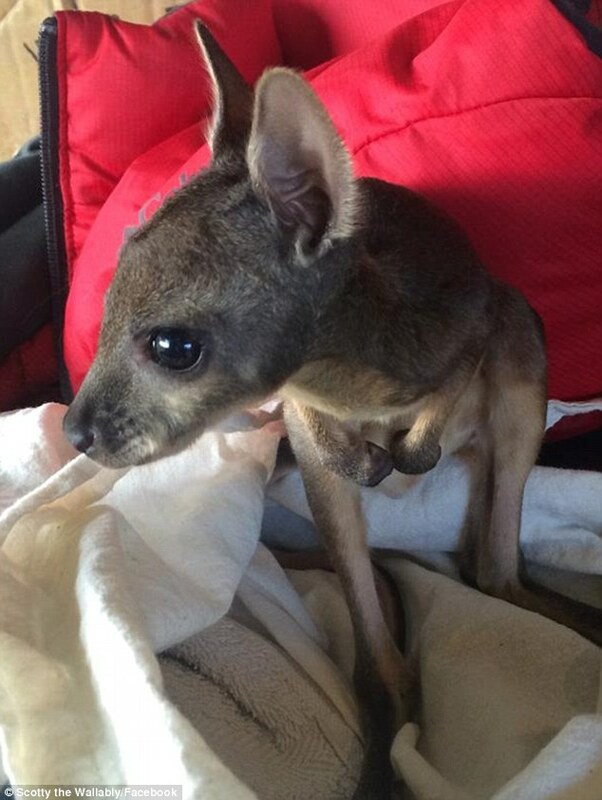 The Tammar wallaby joey's mother was tragically found dead on a road after being hit by a car, leaving him orphaned until the team took him in. Craig Wickham from Exceptional Kangaroo Island told the Facebook page was set up to keep people up to date with what is involved with rearing orphaned marsupial. 'We aim to release him when he is able - where we live is close to good habitat for tammar wallabies so I am hopeful of a successful release. There is a pretty good chance that this will take place based on previous experience,' Wickham said. 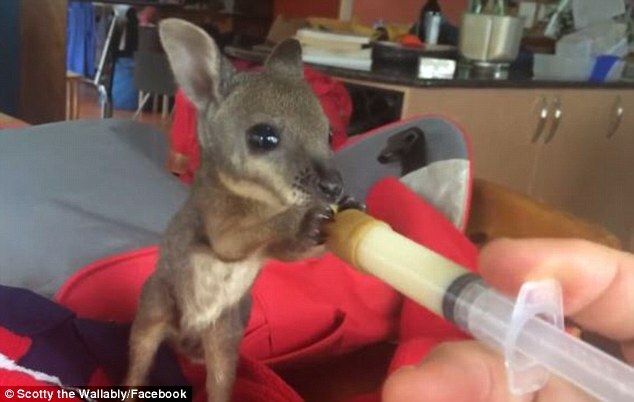 Responses to " Adorable Moment Teeny Tiny Orphaned Wallaby Enjoys A Tasty Lunch "
How did he become orphaned?